Select a portion of your screen, upload to image hosting service, copy unique URI, paste in an email or instant messenger conversation. We have all exercised the same redundant process of sharing screenshots. Right? Some people utilize dedicated screenshot applications like LittleSnapper or Skitch to manage screens locally which also integrate features like uploading via FTP or direct to Flickr. I didn’t understand the fascination or value of a simple dedicated screenshot utility like GrabUp until I tried it. Using GrabUp on a daily basis helped me realize that yes, there really is a niche user who wants to share screenshots that are a) too insignificant to capture and upload using a full blown application like LittleSnapper and b) meant to be quickly shared – no description, no fancy UI / layout. GrabUp is available in two flavors: Free & Pro. The sole difference between the two is that [Free] users host their screenshots on GrabUp servers (visible advertisements) and [Pro] users use their own host. Installation is a breeze. 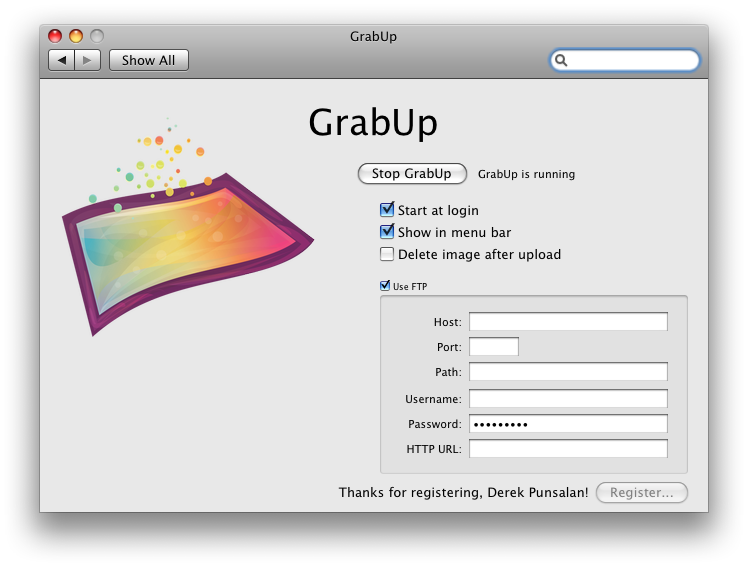 GrabUp is a utility best run at startup. New users will want to make a conscious effort to remember that GrabUp works in parallel with the standard OSX’s screenshot commands. See this overview for the built-in keyboard shortcuts for capturing your screen in OSX. Any time you capture all of or a portion of your screen, GrabUp will automatically upload the file and copy the URI to your clipboard [to paste into an email or chat window]. 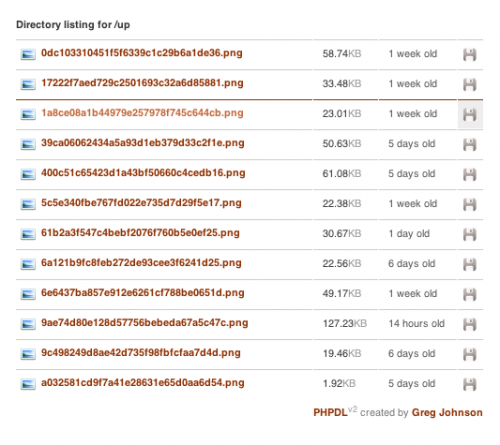 Pro users who wish to retain some semblance of organization within their screenshots directory might want to check out PHP Directory Lister by Greg J.
Upload the file to your screenshot directory and enjoy clean file presentation complete with filetype icons, time stamps, download links, ThickBox support, and audio / video file playback. The obvious downside of GrabUp are the cryptic filenames. Paul S. reviewed GrabUp and mentioned that it would be nice to be able to name a file before it is uploaded. While I too agree that a future update should allow for naming files, I wonder if the extra step would take away from the simplicity of the utility. What do you think?